They say that breaking up is hard to do, and the issues divorcing spouses must face extend far beyond the emotional. Divorce means the end of being a couple, so it's important to ask for your legal share of the marital assets and determine custody and support issues when entering into a mutual settlement agreement with your spouse. 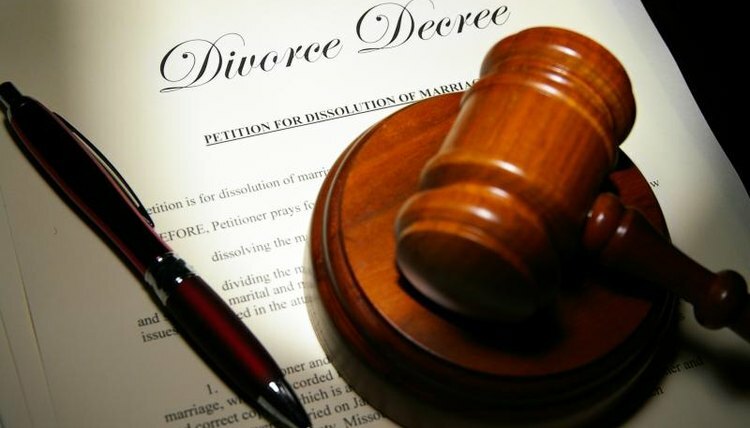 It may be wise to seek legal assistance before signing a divorce agreement. Your property share in a divorce depends in part on where you live. The states generally fall into two categories when it comes to dividing up marital property, those using the community property system and those using equitable division. Community property laws assign to both spouses all monies earned by either spouse during the marriage, as well as all property purchased with that income. Each spouse is entitled to half the community property assets -- and is responsible for half the debts -- in a divorce. Property a spouse brought into the marriage or inherited belongs to her alone, and is termed separate property. States that don't use the community property system generally use the equitable division system. In these states, the goal is not equal division but a fair division of property acquired during the marriage. Some state courts require a wealthy spouse to give part of his separate property to his spouse, if necessary, to make the division equitable. If you have children, you need to come to an accord with your spouse about child custody and visitation in your divorce settlement agreement. Generally, if one spouse gets physical custody, the other is legally entitled to visitation rights absent domestic abuse issues. If your spouse plans to move from the area, you also need to determine who pays transportation for visitation. Often, the spouse with custody is allowed to stay in the marital residence, so consider this when proposing an asset division. If you and your spouse will continue to live in the same town, consider a joint custody arrangement, where the children alternate weeks or months at each home. You must address financial support in a divorce settlement. Both parents have a duty to contribute to the financial care of minor children. A parent with sole physical custody is presumed to contribute her share, while the non-custodial parent is often ordered to pay a set amount on a monthly basis. Even if parents split custody, the one with the higher income can be ordered to pay child support to the other. Spousal support, or alimony, is not granted as freely as child support; courts look to the length of the marriage and the respective abilities of each spouse to hold a lucrative job when they determine spousal support. Another issue to consider in a divorce settlement is insurance: What types are required and who pays for it. Your children require medical insurance, and if they have been getting it through your spouse's employment, you should specify that this arrangement should continue. Once you divorce, you generally will not be entitled to remain on your spouse's medical policy. If your spouse pays child or marital support, you might ask that he purchase life insurance to assure payment of health insurance premiums in case he dies. Spengler, Teo. "Things to Ask for in a Divorce Settlement." , https://legalbeagle.com/5717623-things-ask-divorce-settlement.html. Accessed 19 April 2019.